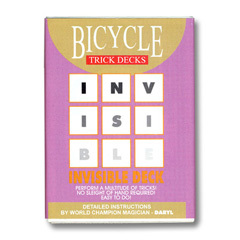 One of the most amazing trick decks available! Before you even touch the deck, spectator FREELY CHOOSES any card. As you fan out the deck face up, the chosen card is the only one face down! Can be repeated immediately. No sleights necessary.